The Honduran Minister of Defence, Marlon Pascua, has said in an interview that Honduras has been invaded by drug traffickers who are using the country’s territory to pass hundreds of tons of cocaine annually from Colombia to the United States. Officials estimate 25 to 30 tons of cocaine arrives in Honduras each month by air and sea, one-third of the world's total volume. “Given our geographic situation...Honduras has been invaded by the traffickers and has become a victim of the drug trade,” he said. He then went further and squarely put the blame on Mexico. The minister acknowledged that Honduras is a transit point for large amounts of drugs from South American producers to consumers in the United States. In fact, Mexico’s success may be Honduras’s failure: Pascua stated that it was Mexico’s increasingly rigid control that was driving the cartels into the Central American country, where institutions are weak and violence is on the rise. 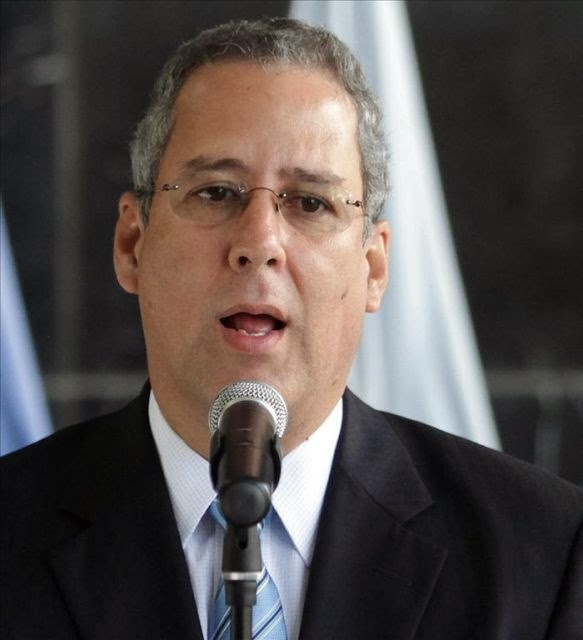 Pascua lamented that the Washington Post has referred to Honduras as a world’s homicide capital, which he called undeserving. Pascua noted that in 2011 Honduran authorities seized a record of over 21 tons of cocaine. In past years, the average has been about ten or five tons per year. He further complained that the media and international organizations only focus on the bad, without recognizing some good results from Honduras’s efforts to deal with the problem. Honduras had 6,723 murders between Jan. 1, 2011, and Dec. 15, 2011, an average of 81.5 homicides for every 100,000 inhabitants, the highest per capita rate in the world (the global rate, as calculated by the United Nations, is 8.8 homicides per 100,000). This is an increase of 881 over 2010. However, the Honduran government has claimed that murders are down in 2011 compared with last year, crediting “Operation Lightning,” a joint police and military operation launched last month. Honduran lawmakers have chosen the Mexican solution, having voted overwhelmingly last month to deploy the country's military against drug traffickers. Political violence has also flared since the 2009 coup that deposed left-of-center President Manuel Zelaya, with journalists, labor activists and gays also apparently being killed with greater frequency. On Dec. 7, former security minister Alfredo Landaverde, an outspoken critic of growing police corruption tied to organized crime, was gunned down in his car, only a day after radio journalist Luz Marina Paz Villalobos was assassinated. The United States has been drawn deep into Honduras' counter-drug fight, spending at least $50 million on security assistance since 2008. Most recently, security concerns prompted the Peace Corps to announce that it would pull all 158 volunteers out of Honduras.